Mocha has amazing drive for such a compact female. 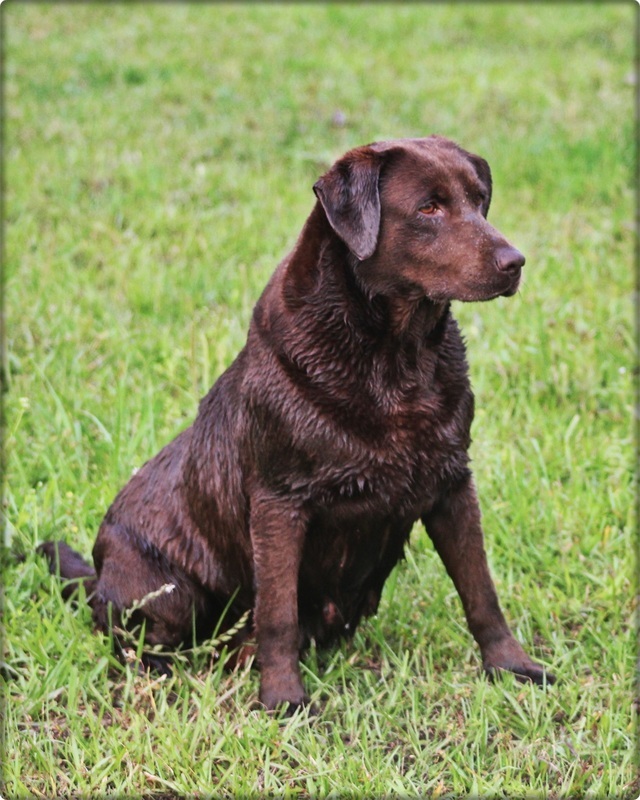 She has a great blend of field and bench breeding to produce the trainability as well as a gorgeous build to her. Mocha has good marking ability and lines her marks with ease. Quiet and well mannered in the blind while hunting ducks and doves but she is primarily used for dove hunting because of her amazing nose and ability to go through briar patches with ease. Great on/off switch and superb with children and other animals. Very friendly and a nice and stable temperament. She is an all around house and hunting dog. Proven producer of great hunting dogs with pups working as early as 4 months old in hunting situations. Mocha has her SHR title and has 2 Junior passes and needs 2 more for her JH title.